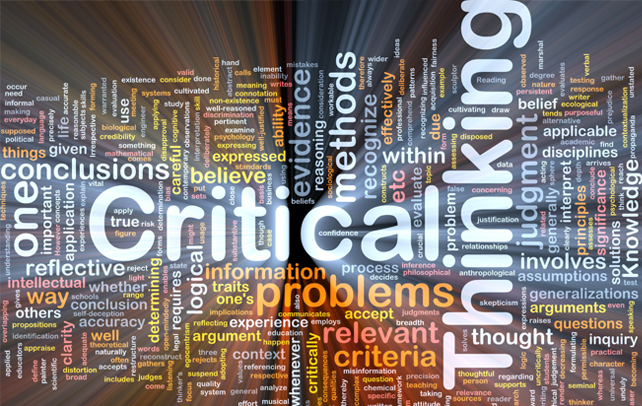 Critical thinking means making reasoned judgments that are logical and well thought out. It is a way of thinking in which you don’t simply accept all arguments and conclusions you are exposed to but rather have an attitude involving questioning such arguments and conclusions” (www.study.com). I can’t sleep. It’s the night of the Iowa Caucus and I’m watching the votes come in. I can’t remember a time when I’ve been more interested in an election. This election season I plan to look up and study the issues under discussion, even those I’ve made up my mind about already. I plan to do my homework. There’s a lot I have to learn still about policy even though I’ve studied it for more than six years of my adult life. Sounds like a lot of work, doesn’t it? It is easier to just pick a side based on propaganda that one party is evil and the other is good. After all, ignorance is bliss. We all have a choice. One path is easy and the answers are all provided for you. The other takes effort and thoughtfulness. The other will challenge you and often put you at odds with others who already made up their minds. I think I’ll choose the road less traveled. I commit to being a critical thinker this election season and form opinions based on research and not the hate speech I see spewed across social media and sometimes from the mouths of candidates and even friends. If you’re interested in learning more about policy and critically thinking through issues, I’d be happy to provide you with multiple sources to learn more about the topics you are interested in. Lastly, let me say this: Think for yourself. Don’t let others tell you how to vote. Take the time to educate yourself on the many issues out there and then make an informed decision. Too many people from both parties vote on one issue, but the world is bigger than that. What if this election season we all did our homework? ***Follow me on Twitter @cynthiaaenglish and at my author page on Facebook at www.facebook.com/cynthiaaenglishwriter. Please like and share this article to help others see it. Thank you!